First Light Imaging is proud to announce the support of the FUI fund (R&D Ministry fund for collaborative innovation projects) to its future project. Thanks to this support, FLI and its academic and industrial partners will keep on working on this project, and continue to design tomorrow’s cameras. 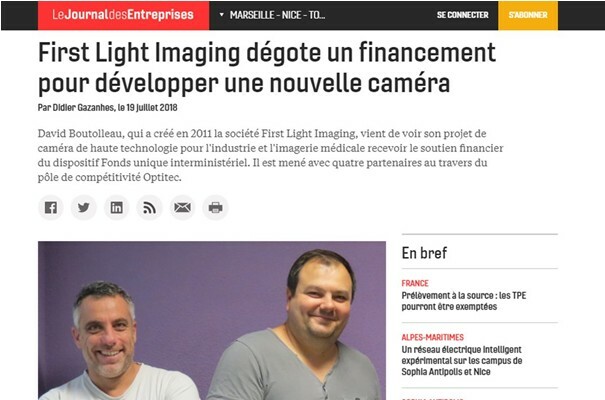 Thank you Le Journal des Entreprises for your article !